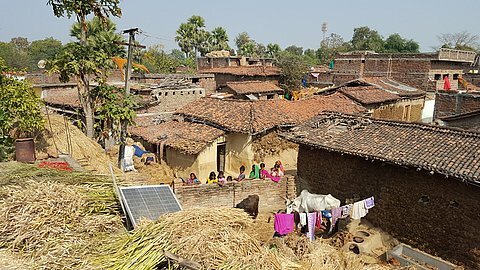 In India about 400 million people have no access to electricity. Smart grids for rural electrification can address the problem of (energy) poverty. In this project we ask: How can smart grids be successfully developed and implemented in India. Successful smart grid development is not simply a matter of getting the technology right: social embedding, ethical acceptability and institutional support are at least as important. The responsible implementation of a smart grid prototype in India. NWO (Netherlands Organization for Scientific Research) project granted under the funding line Responsible Innovation on the development and implementation of smart grids in India. The project’s work is divided into five work packages (WPs). WP1 investigates technical specifications and develops a smart grid prototype. WP2 investigates how smart grids can be embedded and commercialized in the rural Indian energy market, using the Hidden Design method. WP3 investigates how societal and institutional factors affect the viability of smart grid implementation and use in India, using an ethnographic approach in combination with insights from transition studies. WP4 addresses ethical challenges, especially the question to what degree hidden design can replace deliberative processes as a fair and just method of stakeholder involvement. WP5 investigates which key factors affect the potential for upscaling smart grids throughout India. Goal of the project is to answer the research question by the actual responsible development and implementation of a smart grid prototype.